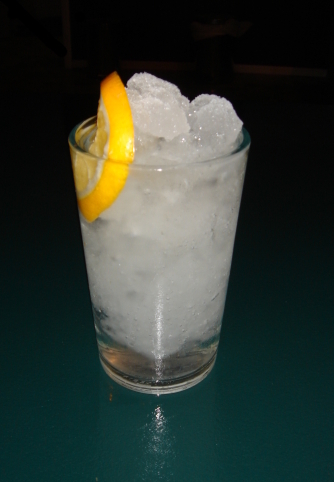 …you make a Gin and Tonic slushie! It was snowing this afternoon so Karen grabbed some snow and improvised. Clever girl. I think she needed a drink once she realised we now live in a place where it snows sometimes.